The process of getting dental implants done may be lengthy, but the end result is superior in many ways. While there are a few different methods of restoring teeth – some of them cheaper – the quality and functionality that dental implants provide are incomparable. We’ll take a look at the many benefits in this article, and how they can improve your quality of life. The biggest benefit of dental implants is the support it gives your new teeth. They resemble the entire tooth structure from root to tip, thus providing equivalent functionality and aesthetics as ‘the real thing’. 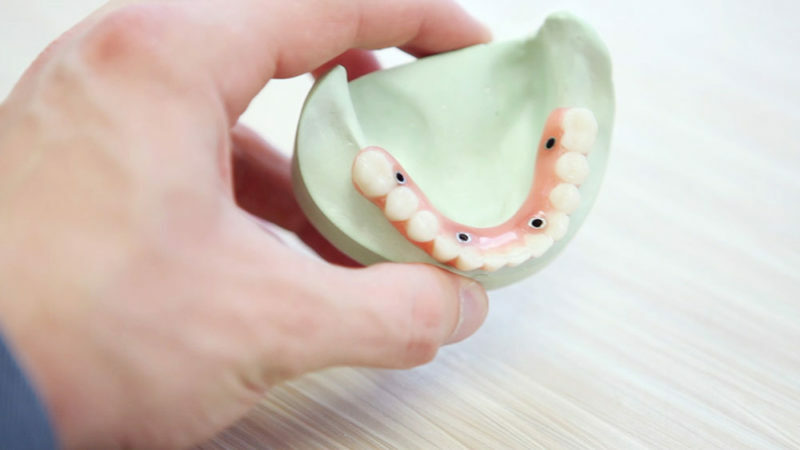 There is also no need to alter any existing, healthy teeth in order to fit them into your mouth, such as with dental bridges, which do not last for long either at 5-10 years. While you will not feel sensations such as heat, cold and pressure as dental implants do not contain nerves, the surrounding gum tissue can still pick up such stimuli. Over time, you will probably not even notice this anymore. When there are gaps in your mouth, adjacent teeth start to shift toward them in a crooked manner. This pulls your teeth out of their positions, which can affect your bite, chewing abilities and appearance. A poor bite can lead to TMD (temporomandibular joint disorder), which can cause pain in your mouth, face, jaw and even ears. Waiting for too long before filling in these gaps can also create more problems. If the space is left empty for a year, your jawbone loses about 25% of its volume due to the lack of stimulation. 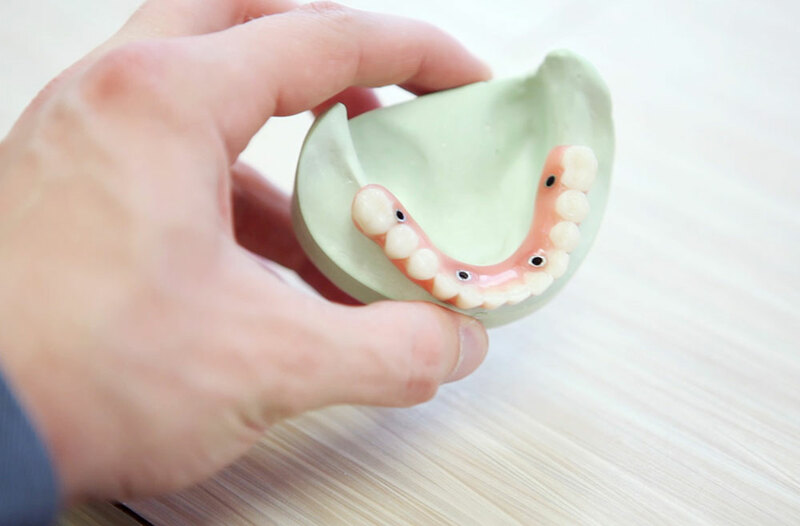 Bone loss continues over time and dentures can even accelerate this process, as they often become loose, rubbing against the bony ridge and wearing it away. Gum disease can also develop as bacteria and food are easily trapped within these gaps. Another important function of dental implants is the restoration of full chewing power. Compare this with dentures, which only restores 10% or less of that. This has a direct affect on your quality of life as it will limit your food choices, which can further lead to nutritional deficiencies. High-pressure chewing is also a form of exercise for your mouth that helps to prevent bone loss. Dentures do not provide enough stimulation to maintain the volume of bone in your jaw. This can lead to a sunken appearance with excessive wrinkles, saggy skin, lips and jowls, as the face starts to collapse over time. Dental implants are custom-made from the root up, so that they fit perfectly into a person’s existing mouth structure. Apart from the health benefits, they also resemble real teeth in appearance. This serves to restore a person’s self-esteem and confidence, whenever they need to open their mouth to talk or smile. They are able to fit in so well due to their biocompatibility, which means that they are non-toxic, so your body will not reject them as foreign material. They are then able to fuse with your bone to form a solid foundation. Caring for your dental implants on a daily basis is similar to that of real teeth. Brush and floss as per usual, and avoid smoking which reduces their lifespan. There is no need to remove or re-glue them, as they sit snugly within your mouth. Dentures on the other hand have a tendency to slip out, and you must remove them for regular cleaning. Dentures can also cause annoying clicking sounds, and augment your sense of taste by covering the roof of your mouth. With dental implants, there are no such problems. As seen in this article, there are many benefits for choosing dental implants to replace missing teeth. At Nourish Dental Care, we guarantee a minimum of five years for your dental implants. We use the latest technology to diagnose, treat and manage each patient’s condition. Dr. Chionh who runs the practice has many years of experience, and specialises in dental implants. He holds full membership in all four Royal Surgical Colleges of the United Kingdom & Ireland. (Click here for more information.) Visit him today for a consultation if you are considering dental implants, suffering from TMD or other orofacial pain.